Recently I found out that two of my former patients died. Yes, like many other nurses, I scan the local obituaries every so often looking for names I recognize. I don’t know why I do this because it inevitably leads to a few tears if I see the name of a patient I really liked, & this happens a lot more often than you might think. But in an odd way I think reading these obituaries also brings me a bit of closure because it allows me to know that a person whose suffering I witnessed first-hand is now freed from their earthly turmoil. Anyhow, all of this got me to thinking about the many times I have cried as a nurse, both on the job & at home when thinking about my patients after work. It happens less frequently than it used to because I’ve learned to develop more of a “shell” to help protect me . . . This doesn’t mean I’ve become hard-hearted & insensitive (someone please tell me the day I do so I can turn in my badge). But as a nurse I’ve had to learn to balance my own mental sanity with showing compassion towards my patients & their families. Throughout my life I’ve often been told I’m “sensitive” & that I “wear my heart on my sleeve” (who comes up with these expressions?! ), & while I certainly hope to never lose that side of me, I’ve had to learn to “buck up” & withstand a lot of things that I probably couldn’t have faced years ago. At this point in my career, I’ve lost track of the number of times I’ve seen someone die. I’ve lost count of the number of dead bodies I’ve touched & cleaned up to send to the funeral home. Since I’m not an ED or ICU nurse I don’t see a whole lot of codes but even so I’ve still lost track of the number of codes I’ve assisted with. And I could probably write a whole book about the number of times I’ve helped prevent a code from happening, for example by recognizing that a patient was dangerously hypoglycemic & giving them D50 (sugar water) in their IV to raise their blood sugar or by recognizing that a patient was in pulmonary edema & needed IV Lasix STAT to pull the fluid off of their lungs, just to name a few . . . Notice a pattern here? Nurses really do save lives, y’all. Doctors are great & I have a huge appreciation & respect for the work they do. 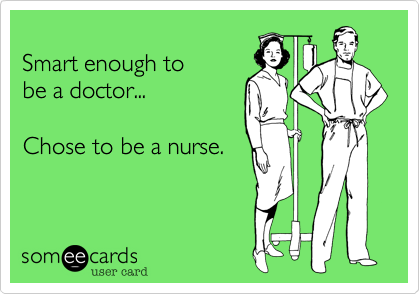 But seriously, until you’re a nurse you have no idea how important nurses are. 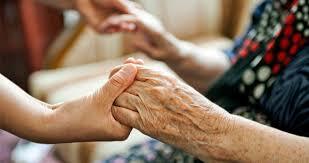 There is a reason we are called the backbone of the healthcare industry. We as nurses are the ones watching your lab values, your vital signs, your telemetry (heart monitor), your I&O (fluid intake & output), & your mental status (among other things) like a hawk. More often than not we are the ones recommending/telling the doctors what needs to be done . . . Again, I am not trying to take away from the important work that doctors do. I’m just saying that one of the biggest reasons I do not regret choosing nursing school over medical school is that I see on a daily basis just how big of a difference I really make. But then I remember that maybe in those last few days or weeks or months they might have gotten to see their grandson who lives all the way across the country for one last time. Or maybe they got to witness another grandchild get married or graduate from college. Or maybe they just had enough time to adequately say good-bye to all of their loves ones (as best as possible) & vice versa. And maybe in the midst of all off their suffering, pain, & fears I was able to provide a calming presence, a small balm to ease their wounds. Or maybe I was able to help their family understand their loved one’s disease process & how to prepare for their loved one’s death. All of this brings me to the main point of this post. 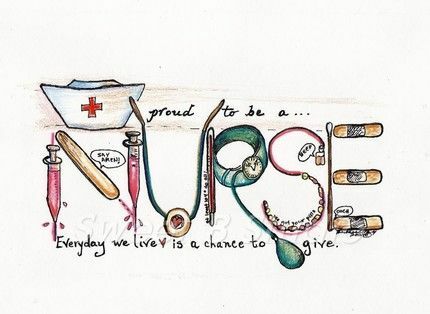 As long as I’m a nurse, my sincerest desire is that I never lose that sensitive soul, that compassionate drive which inspires me to do my best for my patients. 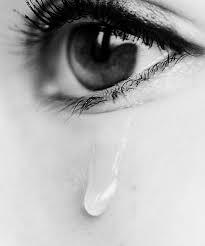 I know at times I am not able to grieve for my patients the way I want & need to because I just have to keep on moving to take care of the rest of my patients. 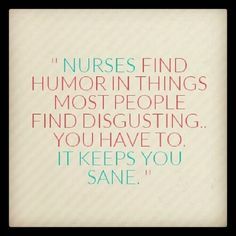 And I know at times I may seem hardened or callous because I don’t cry every time a patient dies or receives a bad diagnosis or because I laugh at things that non-nurses would find revolting. But as I said, as nurses we do have to harden ourselves a little bit so that we can make it through our shifts. Trust me, it’s a fine line, a very fine line, we walk trying to maintain our own sanity while still providing truly compassionate care to the patients & their families entrusted to us. My challenge to myself & to anyone who’s reading this who is also a nurse (or any kind of healthcare worker) is this: next time you’re caring for a patient, particularly if they are “challenging” or “difficult” for whatever reason, take a moment to consider that there is probably a higher chance than you’d like to admit that the time you’re spending with this patient might be some of their last days on Earth. With that in mind, may we all strive to be the best advocates we can be for our patients & to provide the most compassionate care we can, knowing ours could be the last voice they ever hear, our hand the last they ever hold on this planet.